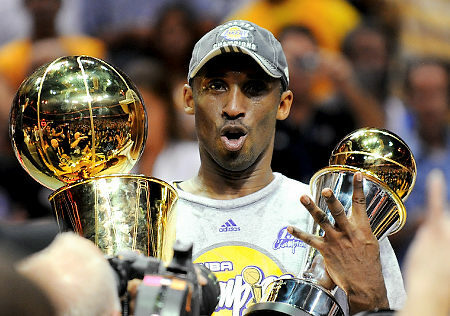 ORLANDO – His detractors can’t say it anymore – Kobe Bryant can definitely win a NBA championship without Shaquille O’Neal. Bryant secured his fourth ring and first without O’Neal, when the Lakers blitzed the Magic last night, 99-86, to win the NBA title in five games. The victory gave the Lakers their 15th championship (10th in L.A.) and also put Phil Jackson alone at the top, with 10 coaching titles as he broke the tie with the legendary Red Auerbach.